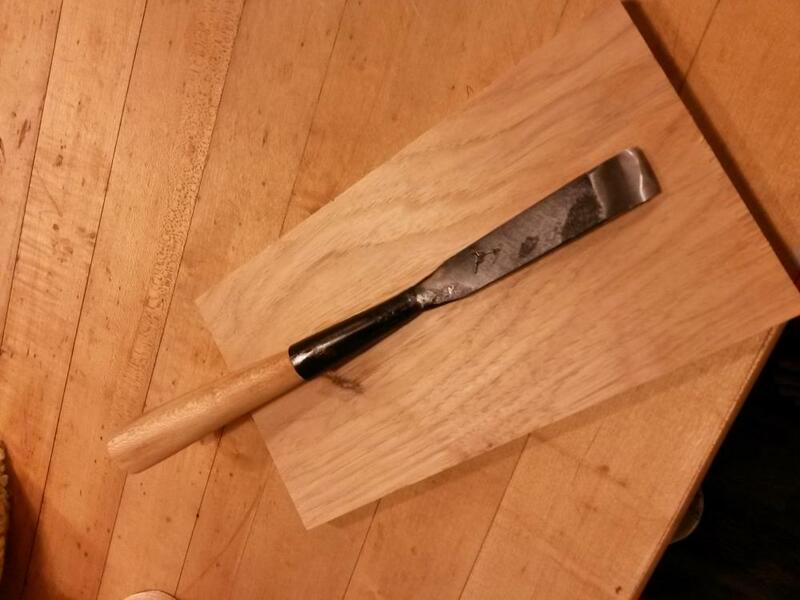 Here's my first wood chisel. I wanted to do a style like Gerald Boggs but I don't have the best equipment/skill to forge shoulders, so I decided to do a socket style. 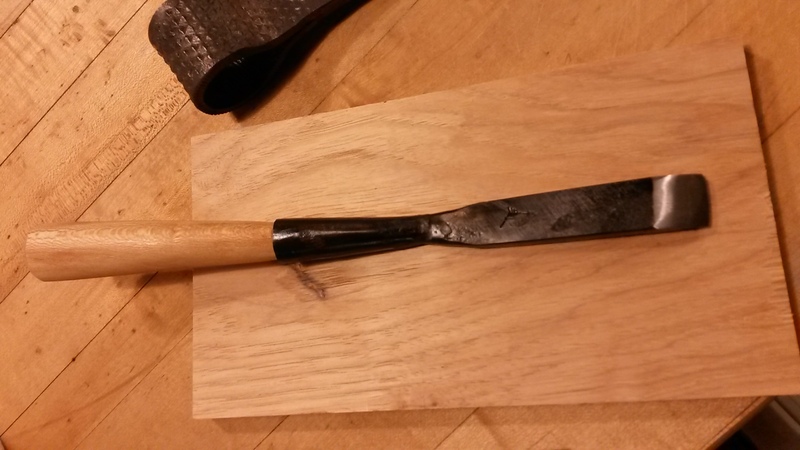 Mild steel socket and body, 5160 forgewelded onto the bottom for edge, and a sycamore handle. 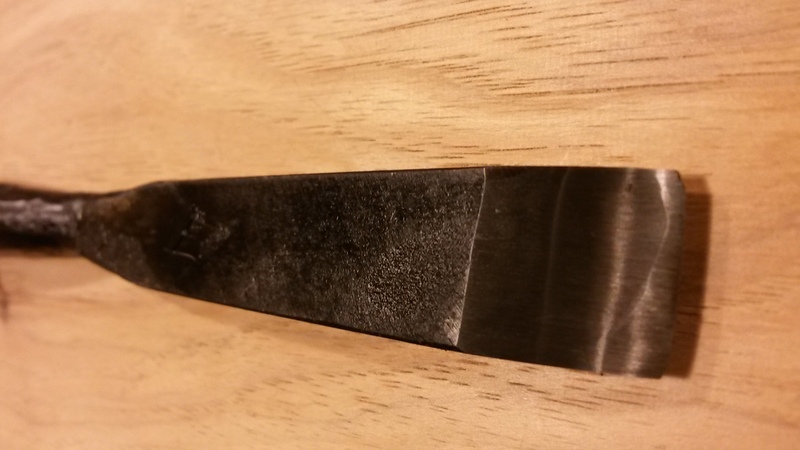 I have some trouble with forging sockets and not getting a slight gap or space where they'll meet the body, whether or not it's on a chisel or an arrowhead. I have trouble getting a completely wrapped, no gap socket. Any tips or suggestions? 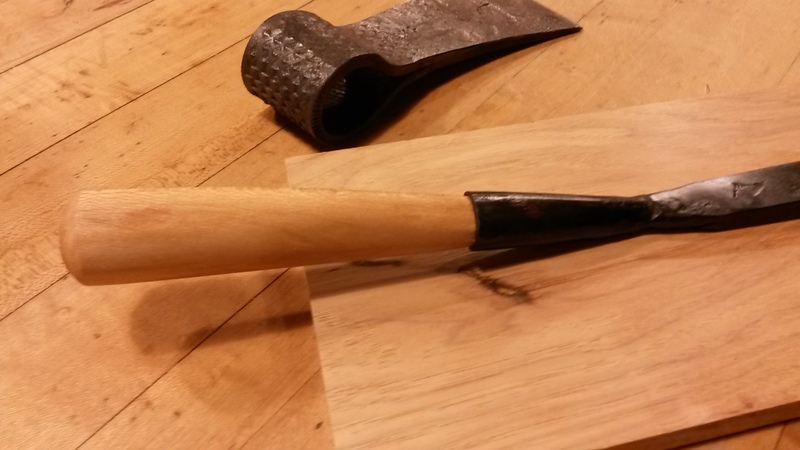 I chose sycamore because i've been told it makes good hammer handles and is nice and hard, so I thought I'd give it a whirl. 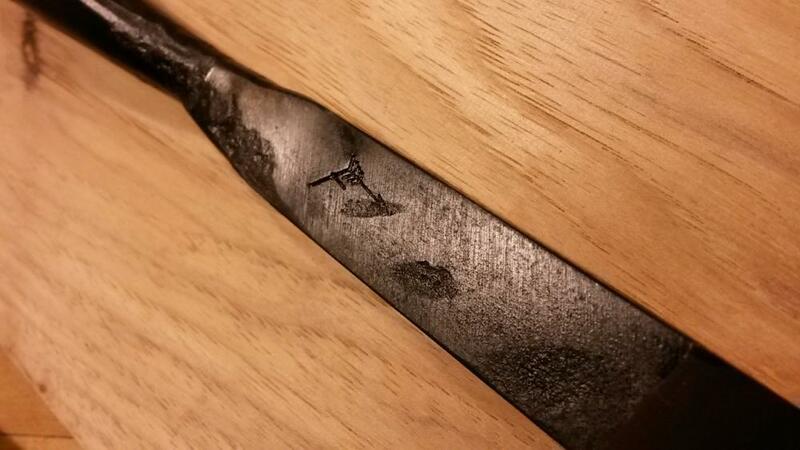 Heat treat was quenched in warm, used motor oil and baked at 425F for an hour and a half. Thanks! Looks pretty nice to me. On the socket, tell us the sequence you did it. Looks pretty good to me. I make sockets overlap a little and saw them even. How's it work? 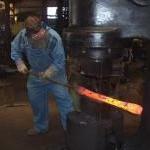 HI Mr. Boggs, loved your demo in the Anvils Ring, that was what inspired me to try! 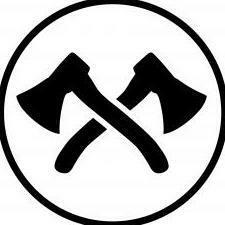 I started with half inch round stock, upset it to about 5/8 or 3/4 and flattened it on the edge of the anvil, much like a socket for bodkin/medieval arrowheads. Rolled and rounded it between the step and the anvil face with a ballpeen. I worked the neck where the solid stock meets the socket with a cross and ball peen to try to thin and smooth it out. Then drew the blade part out flat to my desired width, grabbed some 5160 and matched the width, drew it a bit longer. For the weld, I laid the body on top of the carbon steel, folded a lip over the end to secure it, then heated 'er up and welded it. Then I forge welded the socket closed, too. Ground, hardened in used motor oil, set my tempering oven to 425, stuck it in and came back an hour later. Mr. Boggs, when you fit the ring on the end of your handle of your chisel, do you hot fit it? Frosty, it shaves curls beautifully! Very nice. With that cranked handle, this is for paring, yes? You might want to try beveling the edges to give you better clearance when paring, for example, the shoulder of a tenon or between the tails of a dovetail joint. Hey JHCC, I'll give it a whirl, thank you! This was intending to be just a standard chisel for wood work. I need to do more research on the different types of chisels. Thank you for the link, Mr. Boggs! I'll give the rounder and horn technique a try. I need to do more research on the different types of chisels. Weygers has a whole chapter on making wood carving gouges in "the Complete Modern Blacksmith" It also contains some pictures of the sculptures he's done with them....durn polymath!